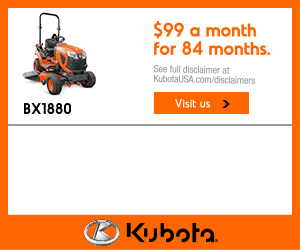 To extend your budget, Capital City Kubota carries a vast assortment of used and reconditioned equipment from Kubota and other trusted manufacturers. In addition to the value and savings, you can be assured that the previously used equipment you buy from us has been inspected and approved to achieve the best performance possible. We offer a guarantee to prove it. Stop by our store to view our used equipment inventory. You also may view and buy from our used construction equipment, compact tractor equipment and attachments inventory online by following the appropriate link below.